The ABA Law Student Division has moved as the official National Mental Health Day at law schools across the country. Law schools are encouraged to sponsor educational programs and events that teach and foster breaking the stigma associated with severe depression and anxiety among law students and lawyers. There are many ways to promote and encourage a healthy and safe environment at your law school or in your community. Whether through your SBA or local Bar groups, we hope you and your law school will take this opportunity to play an active role in the activities and events planned throughout the country for National Mental Health Day. What do doctors, attorneys, and CEOs have in common? No, this isn’t a joke… These are all occupations that have the highest rates of stress and depression among all occupations. Attorneys across the U.S. have begun to realize how prevalent the problem is. Currently, eight of the fifty state bar associations have realized how stressful is to be an attorney and requiring mandatory mental health components as CLE credits. Unfortunately it isn’t much better for us as students; by the time we graduate, we are nearly four times more likely to develop depression or other mental health issues. Law school attracts a lot of type A personalities, everybody wants to be the top 10%, but just simple math shows 90% of students won’t meet their expectations. When we finally become attorneys, we enter this adversarial system where there’s always a winner and a loser and we can’t always be the winner. Because of this competition, this sink or swim attitude, it creates this atmosphere of stress and anxiety that looms over every law school and stays with us throughout our entire career. Thankfully, there is help available. Take for example, the Dave Nee Foundation, which was founded in memory of a promising law school student who took his own life after losing his fight against depression. Since 2006, they have hosted their Uncommon Counsel program at nearly fifty different law schools across the country and helped thousands of students. The program not only raises awareness of prevalent mental health issues within the legal community, but also equips law school students with the necessary skills and resources to assist them with mental health concerns throughout their career. The American Bar Association has its own program tailored specifically to law school students: The Mental Health Initiative. 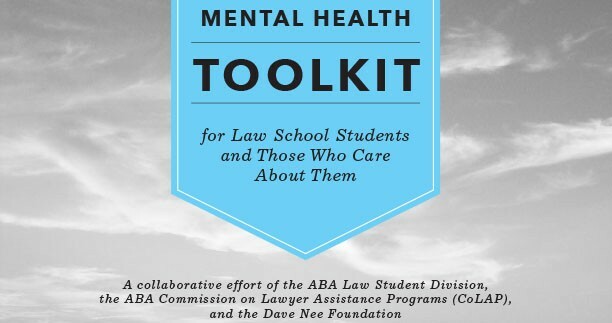 With the growing concern of mental health issues on law school campuses across the country, this program confronts some of the major problems by providing a toolkit to the person most capable of creating change: You. One of the biggest challenges we face is erasing the stigma of mental health issues and many troubled students keep to themselves and refuse to seek help out of fear. With Mental Health Day coming up on October 10, it’s the perfect opportunity for you to take a look at the provided initiative on this website and to let these people know that they are not alone by raising awareness of mental health issue and helping people realize that seeking help is not a sign of weakness, but rather a sign of strength. 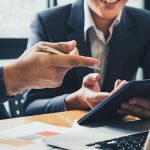 Alcoholism, drug addiction, and mental health problems are afflictions that affect a great number of professionals including lawyers and judges. To provide a model for assisting lawyers, whose practices had been impaired by addictions, the ABA created the Commission on Lawyer Assistance Programs (CoLAP) to provide support to attorneys fighting addictions as well as stress, depression, and other mental health problems. The Commission’s primary goal is to advance the legal community’s knowledge of impairments facing lawyers and to provide a response to those issues. 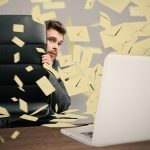 CoLAP Law Student List Serve – The ABA Commission on Lawyer Assistance Programs maintains a confidential listserv for recovering law students. For information on joining this group, contact Nicki Irish.